Lightning's Girl: George Hamilton Look Out! I am a little worried. 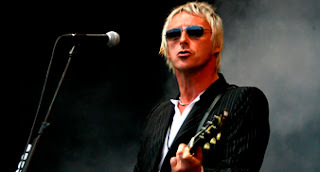 Mr. Paul Weller is looking like a red velvet cake with hairdresser applied frosting. Somebody call the Style Council. Thank you, I will be here all night. he is lookin' mighty orange!